Classy and fabulous: welcome December! Hey there! It's that time of the year again. I can't believe we have just a tiny bit time left until Christmas and New Year's! I sometimes get overwhelmed thinking how many things there are to accomplish before this year waves good bye. December couldn't have started better, Michael and I celebrated Thanksgiving holiday on the slopes skiing (me) and snowboarding (him) in Snowshoe, WV. It was snowing there the day before Thanksgiving, so the entire place looked like a winter wonderland! It was cold, sunny, everything was covered in snow and I couldn't be happier about it! We both agreed that it was our best Thanksgiving. I hope you all had a great holiday! *outtakes from my Instagram, as you can see I'm totally into winter holidays mood! i can't stop seeing this photos! Christmas spirit is in the air! Lovely pictures! I follow you on Instagram, but it's nice to see them all together. Bright and cheery! Daniella, thank you so much! What gorgeous pictures. So wintery! 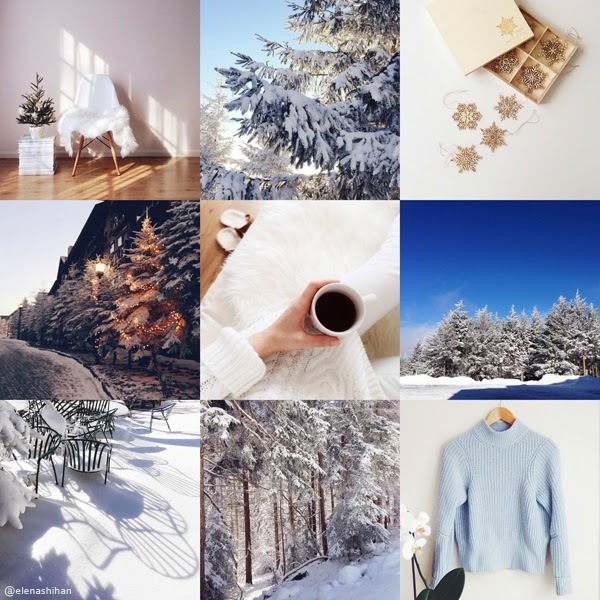 Gorgeous shots, wish it would snow where I live but have a happy December! Its looking very nice and attractive. how expressive your blog is. Thanks for sharing. Whoa these are your outtakes?! Amazing! I love how all the photos thread so well with one another. many people are genuinely hooked up with it. because its contents make us become better know and learn more about the wide world, so it would greatly add insight for me, laneways that I say many thanks.